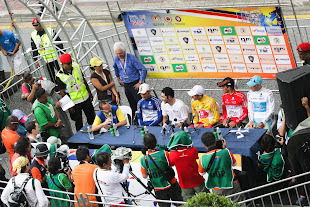 29th February 2012, GENTING HIGHLANDS - As he did three years ago, José Serpa followed up stage victory in Le Tour de Langkawi with another win atop the climb of Genting Highlands and, with four stages left to be covered, is in a very strong position to take his second overall triumph in the race. Rather than the predicted clash between Jose Rujano (Androni Giocattoli – Venezuela) and Tom Danielson (Garmin Barricuda), today’s strongest riders ended up being Serpa and Victor Nino Corridor (Azad University Cross). After tussling the whole way up the climb, the 32 year old Colombian beat his 38 year old compatriot by two seconds. Rujano suffered due to not eating enough and crossed the line 46 seconds back. Alexandr Dyachenko (Astana) and Jackson Rodriguez (Androni Giocattoli – Venezuela) completed the top five. “I expected to do well, but I expected Rujano to be in the lead tonight,” said Serpa. “However in the final kilometres he got a hunger flat. I was feeling well – I stayed on Victor Nino’s wheel and from there I could take the stage win. The tough finishing climb shook things up considerably, and put paid to the hopes of overnight leader Darren Lapthorne (Drapac Cycling) and the rider who was sitting second overall, Tom Danielson (Garmin Barracuda). Neither were on good days and finished 59th and 74th respectively. According to Danielson, the after-effects of his crash on Sunday were responsible for his drop in form. In contrast, Serpa’s dominance and Rujano’s solid ride saw them end the day first and second overall in the overall standings, thirty seconds apart, with Nino Corridor a further 26 seconds back in third. Dyachenko and Rodriguez are fourth and fifth. The full complement of 124 riders lined out on today’s stage, with no withdrawals happening overnight. 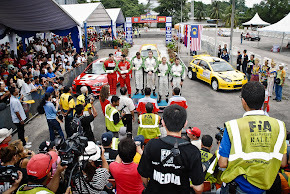 Shortly after the depart from the Proton headquarters in Shah Alam, a group of six slipped away. However they were reeled back in by Andrea Guardini’s Farnese Vini team. A subsequent seven man attempt was more successful, opening a growing lead. 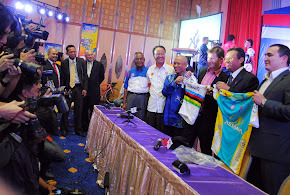 The riders present were Assan Bazayev (Astana), Sonny Colbrelli (Colnago), Valery Valynin (RusVelo), Alireza Haghi (Azad), Loh Sea Keong (OCBC), Zainal Mohd. 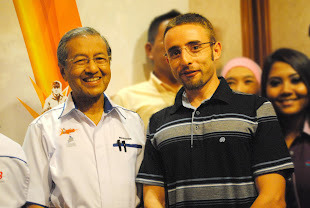 Rizuan (Malaysia) and James Williamson (New Zealand). This septet built a gap of one and a half minutes by kilometre twelve, and this soared to approximately four minutes by the time they reached the category four climb of Puncak Alam (km 24). 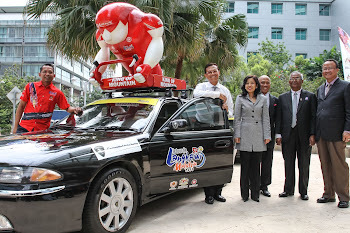 Williamson was first there, ahead of Loh and Rizuan. The break’s advantage grew to five minutes very soon afterwards, putting Colbrelli into virtual race leadership. 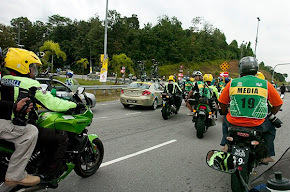 Rizuan took the intermediate sprint at Coalfields (km 35), crossing the prime line ahead of Loh Sea Keong and Colbrelli. The latter then took the second intermediate sprint at Paya Jaras (km 43.7), where their lead was four minutes 57 seconds. The group raced on to the final intermediate sprint prime of the day, where Rizuan beat Colbrelli and Haghi to the line. With 40 kilometres to go, the gap was holding steady at five minutes. The situation was a little more complicated for Williamson, who punctured out of the move. However he got a quick change and was able to chase back on again. Valynin cracked soon afterwards, reducing he number of those in the break to six. They were approximately four minutes clear with 25 kilometres to go. 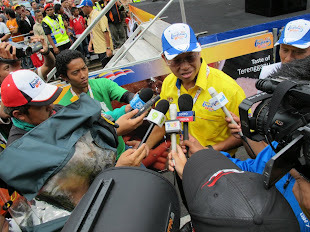 Soon afterwards, Rizuan also cracked and slipped back. 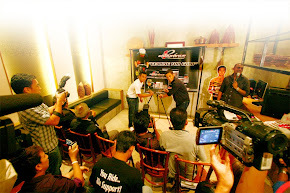 Once on the Genting Highlands climb, Loh Sea Keone also went south. Bazayev and Williamson pushed ahead, conscious things were about to really heat up behind. Sure enough, 2010 champion José Rujano surged from the group behind, prompting Jose Serpa, Victor Nino Corridor and Carlos Ochoa to give chase and join up. The other contenders were unable to keep pace, including Danielson. Bazayev left Williamson and gave his all to stay clear. However he was finally reeled in 15 kilometres from the summit, after which Rujano surged and put Ochoa out the back. The latter got back on but Rujano continued to ride aggressively. Behind, the, next riders were 50 seconds back and making no real inroads into the leaders. It became increasingly clear that those out front would not be caught. 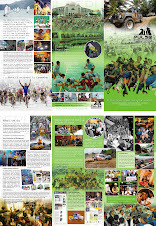 Serpa sensed that victory was possible and with Rujano weakening due to hunger knock, he attacked hard with seven kilometres to go in order to get rid of Nino Corridor. The latter managed to get back up to him but was no match for his compatriot in the final kilometre, with Serpa snatching both the stage win and the yellow jersey. The race now continues with four flatter stages, where this year’s triple stage winner Andrea Guardini (Farnese Vini – Selle Italia) is expected to add to his tally. Serpa is likely to come under attack, although it will be a difficult task for any of his rivals to get back into the frame. Danielson’s Garmin Barracuda team has promised to ride aggressively in the days to come, but stage wins will now be the priority. 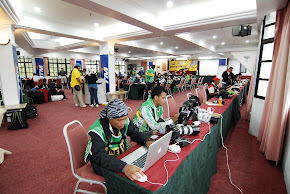 The same applies to many other squads in the race, who now find themselves too far back after the showdown on the Genting Highlands.